Sheriff Nicholas Cocchi is a highly decorated corrections professional whose skills, competence and thorough understanding of the corrections processes and duties of Sheriff of Hampden County exceeds the high benchmarks necessary to keep our community safe and return offenders to our streets as productive and contributing members of our society. Sheriff Cocchi rose through the ranks in the sheriff’s department, ultimately ascending to assistant superintendent before being elected as the 16th sheriff of Hampden County to replace his mentor and friend, Sheriff Michael J. Ashe, Jr. Prior to being elected sheriff in 2016, Sheriff Cocchi was the recipient of several Sheriff’s Department awards including; Employee of the Month, the Distinguished Service Award and the prestigious Mike Dodson (Supervisor of the Year) Award. Sheriff Cocchi is a lifelong resident of Ludlow and a graduate of Ludlow High School. He holds a Bachelors of Science Degree in Government from Western New England University and earned his Master’s Degree in Business Administration from Elms College, where he currently serves on their MBA Advisory Council. Sheriff Cocchi acknowledges that the Hampden County Sheriff’s Department has been a part of history, locally and nationally. He is committed to the standard of excellence that has been recognized nationwide by our peers in corrections, by law enforcement and even the President of the United States. That standard – our commitment to be compassionate agents of change and not just custodians of our fellow man – is the foundation of our sheriff’s department and how we ensure the welfare and well-being of all those placed in our care today and in the future. 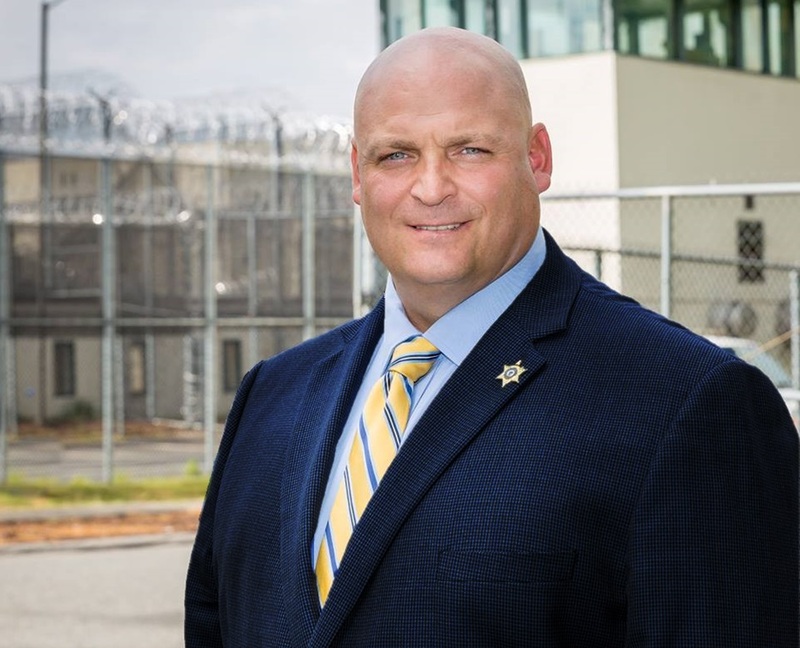 Sheriff Cocchi is committed to the study, research and review of the best practices in corrections and rehabilitation. He vows to never forget that simple acts of human kindness and compassion for our fellow man will always help us be better in our efforts. We will always fight against the outside forces and distractions that pursue the souls of those who have fallen to the ravages of drugs, and the lure of gang-life and crime. Sheriff Cocchi believes that success must always be based upon the concept of public service before self. That the passion that our staff bring to this difficult job every day, a job that so very few can do, will always be rewarded with the knowledge that we are making a difference. Sheriff Cocchi knows those who stand with him in this department will always take to heart the unique privilege and awesome responsibility given to us by the people of Hampden County. Nicholas Cocchi’s commitment and duty as your Sheriff is to continue the standard of excellence that Sheriff Ashe built and to go beyond all we have already accomplished, boldly, without fear or reservation. Never to succumb to the outside pressures of politics, never to be lulled by complacency of our success, nor to be overcome by the forces of criminal intent and evil that rob us of our fellow man’s potential. Sheriff Cocchi is the husband of his high school sweetheart Wendi and father to their three sons, Owen, Max, and Sam. Often you can find Sheriff Cocchi with his boys on the baseball diamond, soccer field and in the hockey arenas. In addition to having coached Minnechaug Regional High School hockey, Sheriff Cocchi has coached youth hockey for the Springfield Pics, New England Junior Falcons and the Springfield Rifles. A 2012 finalist for the National Youth Sports Coach of the Year Award, Sheriff Cocchi believes that being a positive influence on today’s youth will lead to the betterment of not only their future, but also our entire community.